Today I visited a store on 14th Street called Namaste. I wanted to pick up some witchy tools and a second full tarot deck. I had read a recommendation that you should keep a tarot deck for yourself, and use a different deck when you do readings for other people. And who couldn’t use another tarot deck (or 3 or 4)?? 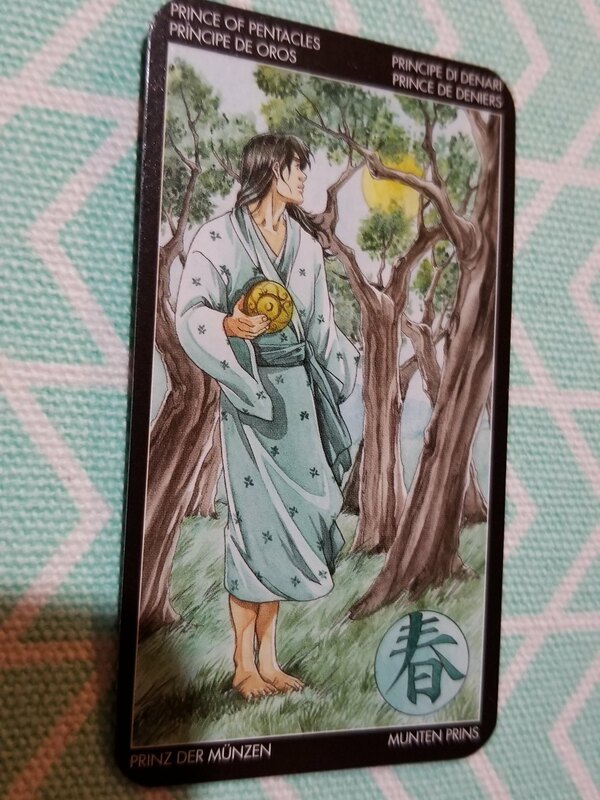 After deliberating over the vast selection of tarot decks available in the store, I decided upon a little, portable deck called the Manga Deck. It is designed to look like old Japanese manga and is very beautiful! I wanted to start out with it right away with a deck interview. Keep in mind that when you buy a new deck, all of the cards are in order. I shuffled it as best I could but when you start out a new deck, it seems that you will inevitably get some similar suits. 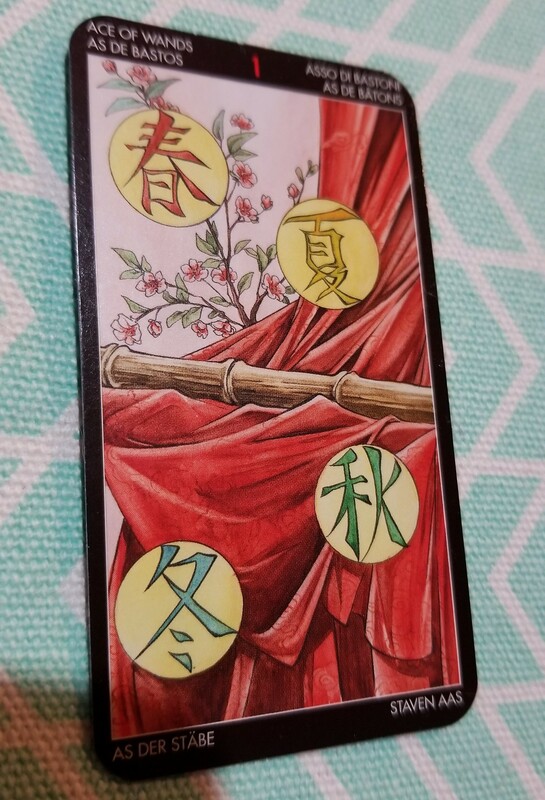 Interestingly, the recurring suit in this interview is Wands – perhaps this means this deck is best suited for matters of the mind, personal thoughts, ego and spirituality. Let’s get started! こんばんは Manga Deck-san. Tell me about yourself. There is a time for fighting, and a time for healing. I will provide pure insights for your readings. I am balanced and fair. Readings from my deck will create clear visions as to which path is best to take, and will bring peace to the recipient. Where the eyes don’t see, the heart sees. My readings will help bring to light the deepest desires of the recipient. I can help make decisions and plan for the future and reach new levels of self-discovery. Plus, I’m very pretty, ですか ? Know yourself and don’t be afraid. Keep the ego in check when reading my deck. The limit here is what the person you are reading for is willing to admit and realize about themselves. There is unknown potential to my power, if the person who is receiving this reading is able to truly listen and feel inspired by my guidance. Sometimes the only thing to do is wait. The right path is laid out for those who are ready to take it. My deck will give foresight and will help your readings to prepare the recipient for the journey ahead. I will teach you to look ahead and consider the choices at hand, and how they will affect the future. It was before, it is today, it will be tomorrow… tarot is a timeless way to give guidance to your friends and family. My deck contains a wealth of information, ready to be shared when channeled properly. As an added bonus you, Glux, will feel accomplished when you complete a reading for one of your loved ones. Curiosity is the initial contact between us and the world. Your friends and family will come to you requesting a reading, and each new reading is the birth of their interest into the world of tarot and alternative spirituality. 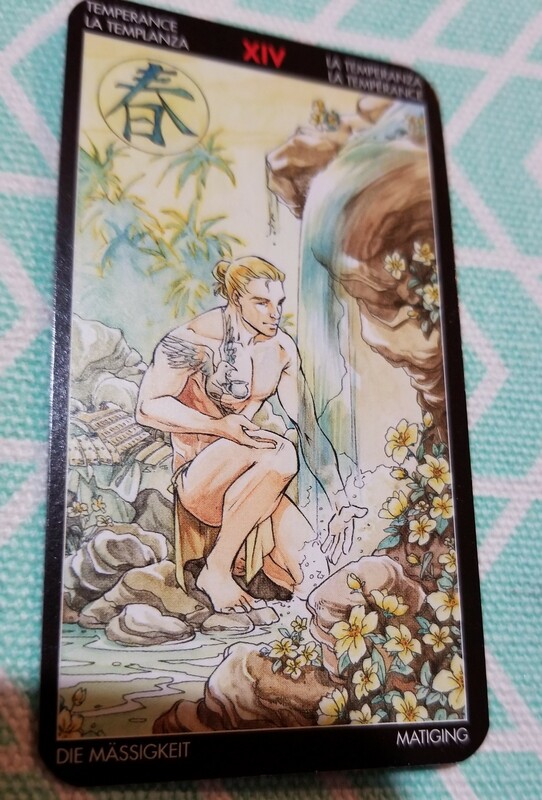 In addition, this card symbolizes a new job, so if you want to get REALLY serious and read tarot cards for others, this is definitely a good first step. 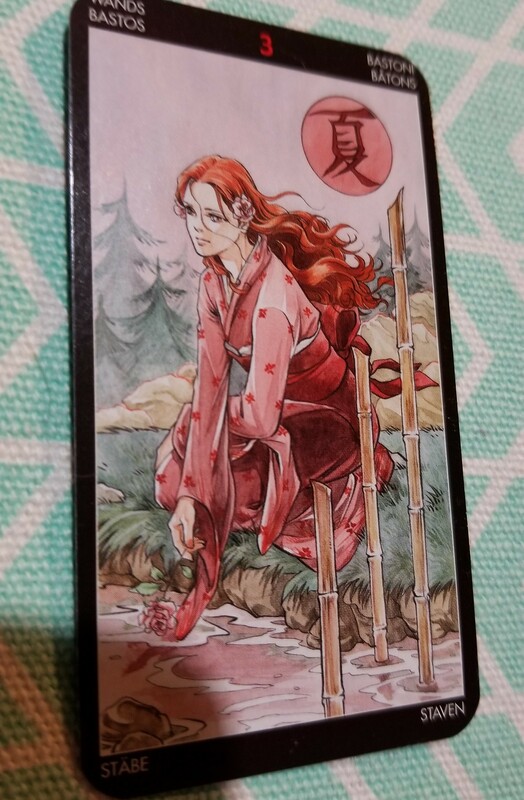 As I have been reading these cards and looking through the artwork, I have definitely noticed some big differences between this deck and the Rider Waite deck. It almost feels like I’m learning to read in a different language! 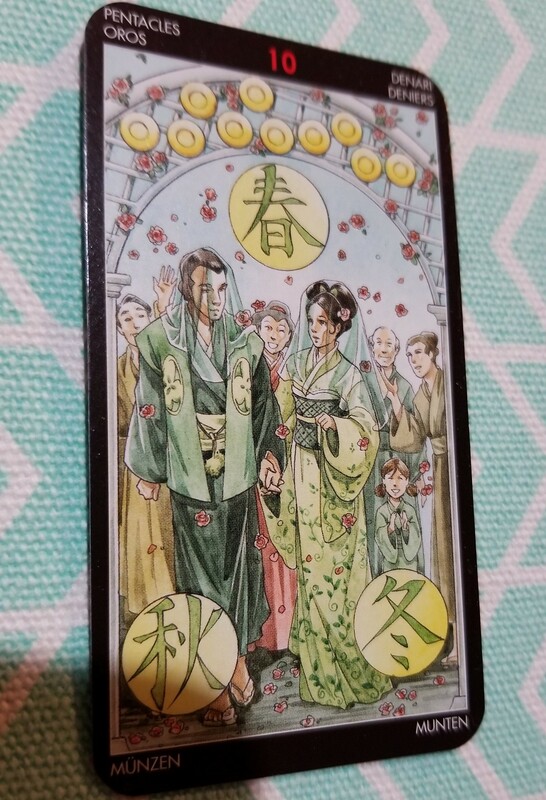 Some of the cards have been re-cast with different genders and roles, which keep it a little interesting for me – I’ve got to stay on my toes when I’m doing a reading with this deck! 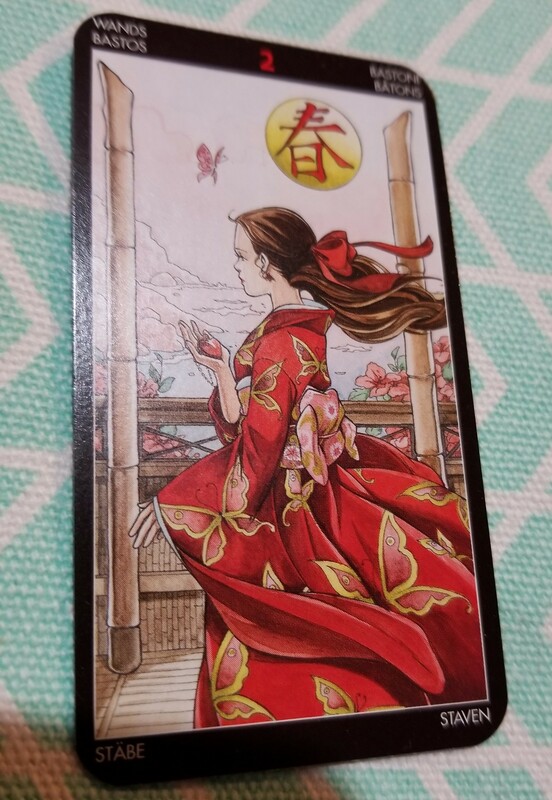 I think this deck is wonderful, it is an adorable compact size and the artwork is simply gorgeous. I guess the next thing to do is…. schedule a reading with YOU! Do you want to learn insights into your deepest desires? Foresight to help you reach your best future? Let me do a reading for you with the Manga deck! Reach out to me, I’d be very happy to do a tarot spread with you. Carnies Come to Taproom 307!